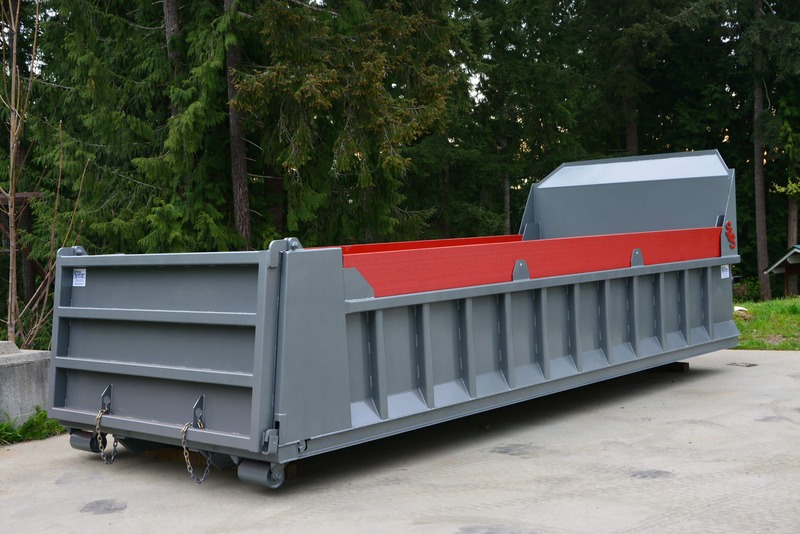 Rock Box Dump Body | Steel Container Systems Inc.
Rock Box Dump Bodies are a hybrid between the protection and styling of a dump body and the extreme duty of a rock box. SCS Rock Box Dump Bodies are designed for heavy loads of aggregates or soil that can be dumped or spread. They are also suited for equipment hauling and can be equipped with heavy duty d-rings. Other options include and air or electric tailgate release, gravel chute and tarping system. 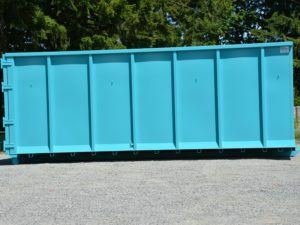 An SCS bin can be customized to suit your exact needs. SCS quality ensures a longer product life-cycle and eliminates unnecessary downtime. To ensure the safety of your driver and truck, SCS provides a heavy duty cab guard on every dump body we manufacture. SCS rock box roll off containers feature a heavy duty floor which allows for hauling small excavators, tractors, rock, gravel or concrete. Dump body tapered side boards can provide you with extra capacity if needed. The boards can easily be replaced if they become worn. Our dump body tailgate has a fixed hinge on the top rail which allows for easy dumping and spreading of loaded materials. For added strength and durability we have added 4″ I-Beam cross members on 18″ centers. SCS Rock Box Dump Bodies can withstand the world’s toughest job applications. For maximum strength and durability we have added heavy duty studs on 18″ centers. SCS Rock Box Dump Bodies will preform exceptionally well in all types of rugged environments.